Baron Hirsch was the great success story of the Pinch’s Orthodox synagogues, others were unable to survive the demise of Memphis’ Jewish immigrant neighborhood. In 1900, ten men, led by Judah Friedman, broke away from Baron Hirsch and founded Anshei Mischne (People of the Book). 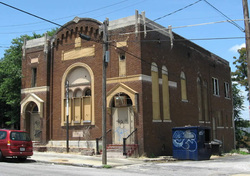 For their first few years, the group met in a rented house; by 1903, they had moved into a brick building on Jackson Avenue. 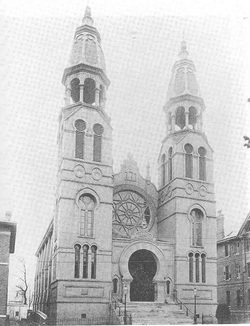 By 1907, they had purchased the building, though they tore it down twenty years later to build a new synagogue on the same site. 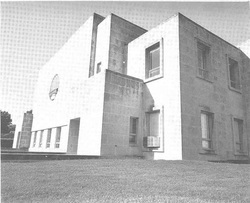 Their new synagogue seated 250 people in its sanctuary and also had a mikvah. Ignatz Isaac was Anshei Mischne’s first rabbi, and served the congregation for most its existence. M.D. Blockman served as the congregation’s president for over thirty years. Although Anshei Mischne had 175 members in 1941, the congregation eventually disbanded after most of them moved out of the Pinch to the eastern part of Memphis.